After fleeing war in Syria and crossing the border into Kurdistan Region, Iraq, Syrian Kurds attempt to build a life in Kawergosk Refugee Camp. Music, food, and education provide families some comfort and meaning while they struggle with camp conditions and the persistence of waiting. Kawergosk: Home Made of Cloth gives entrance to the struggles facing many of the 250,000 Syrian refugees in the Kurdish Region of Iraq. Poignant refugee stories and depiction of camp life illustrate both the specific history of Syrian Kurds and common needs of refugees. 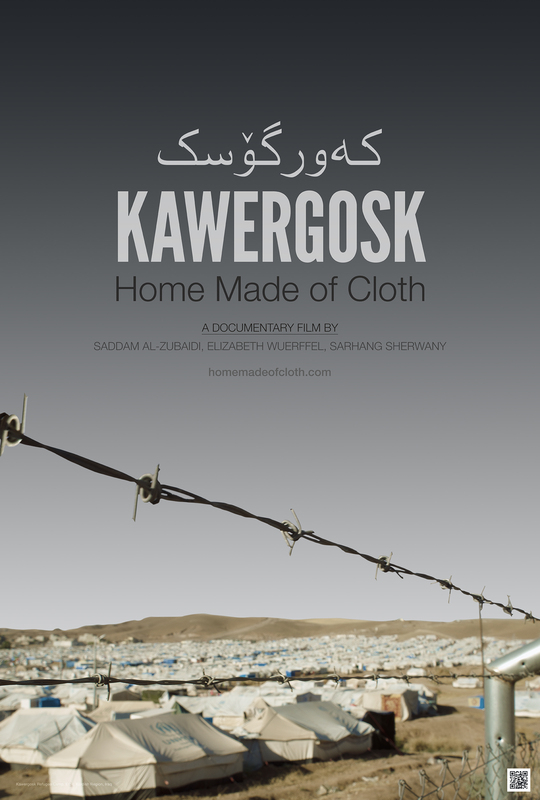 From a rap artist creating songs of resistance to a young woman who understands the power of education, Kawergosk: Home Made of Cloth is a powerful account of perseverance in the face of hardship.